The best place to study and write about Alaska is gone. 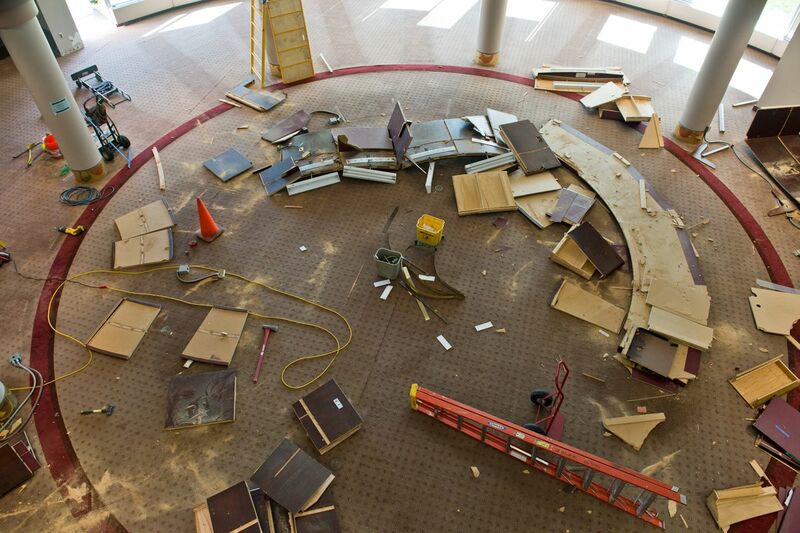 The Alaska Room at the Loussac Library, damaged by water from a broken pipe, will not reopen. The materials will be moved, likely without dedicated staff. The change is forced by library budget cuts as the city diverts money to police, but it is also part of a larger trend. In this time of austerity and transition in Alaska, history is being left behind. At a meeting of scholars and librarians Wednesday at Loussac, anger boiled over. "I am furious," cultural anthropologist Cynthia Wentworth told the group. "Nobody asked me if we should close the Alaska Room." She continued, "That room is world quality." The Alaska Room opened in 1986 in a round brick tower, separated from the rest of the library, a superb study area designed to resemble the famous reading room at the Library of Congress. Bibliographer Bruce Merrell built a unique collection there on all aspects of Alaska history and culture. The room also held Anchorage's memory, including high school yearbooks, self-published memoirs, scientific reports, municipal documents, and even telephone directories. As an author, some of my best work was born there. Merrell guided me to rare and obscure materials that brought it to life. But he retired nine years ago. The collection stagnated without dedicated expertise. 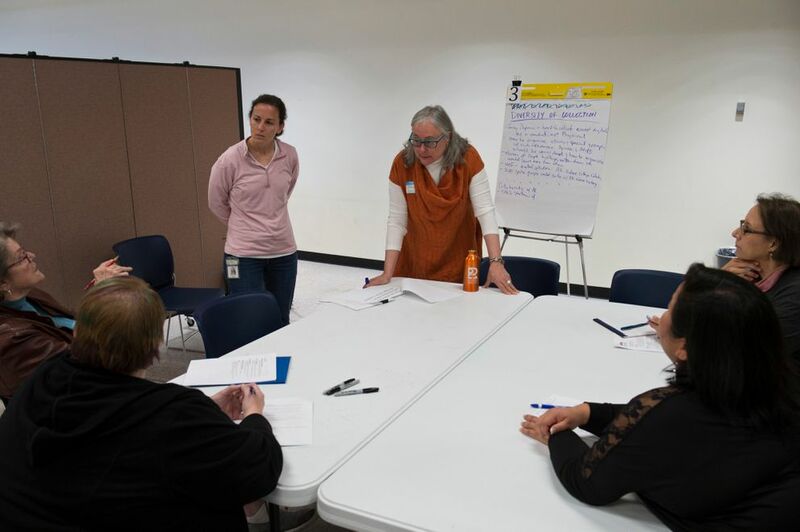 The meeting Wednesday, arranged by library staff, brought together many of Alaska's most distinguished writers, scholars and librarians. But after the angry blow-up at the start, they were shuttled through small groups and patronizingly asked, "What is Alaska history?" As the session closed, Carol Sturgulewski, an author and longtime library supporter, spoke out in frustration. "We haven't talked about the big question," she said. "I don't feel there has been any resolution." Now library director Mary Jo Torgeson's emotions showed, too. "We all have a passion for this," she said. "There's a reason why we're having to do this. We don't have the positions." "I don't like it that Mary Jo is being accused of not caring about the Alaska Collection," said Clare Ross, the deputy director of economic and community development. "We get cut hundreds of thousands a year, every year." Mayor Ethan Berkowitz hit the library with big cuts again last year. Even after the Anchorage Assembly added money back to save the Girdwood branch library, the system lost three full-time staff and money for materials. More cuts are being considered for next year. Berkowitz's deputy chief of staff, Jason Bockenstedt, said the mayor isn't picking on the library. All departments have been cut to raise money for 120 new police officers who have been hired since he came to office. Mayors have cut the library for decades. In the late 1980s, Tom Fink shut branches and cut staff. In 2004, Mark Begich made deep staff cuts. In 2009, Dan Sullivan cut 10 percent of staff and in 2010 closed a branch. After Berkowitz's cuts, the systems' staff is half of what it was at its height, despite a larger population and heavier use. A 2016 study comparing Anchorage's public libraries to other cities of comparable size showed we support them less in every category: fewer hours, books, staff, programs and material purchases. 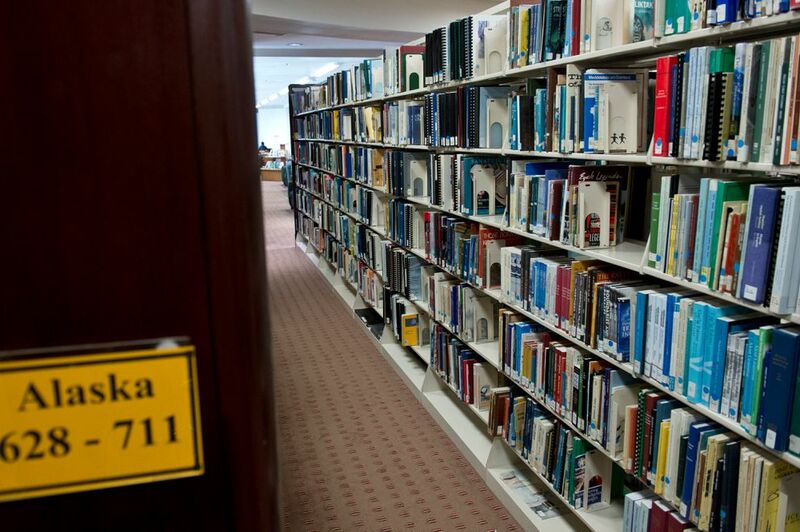 Anchorage spends less than half as much per resident on library materials as other cities. The Alaska Room had seven dedicated staff when it opened, including an archivist and archive technician, said Merrell, who helped plan and lead it. Now the entire Loussac Library has only five professional librarians. With one lonely staff member posted in the Alaska Room, concerns arose about safety. A 2013 facility plan recommended moving the collection to where it could be overseen by staff as part of other duties and be more accessible and open more hours. When a pipe broke last December, librarians scrambled to save the collection, much of it rare and historic. About 1,100 items were destroyed out of 31,000 pieces. As part of the recovery, Torgeson put the facility plan in motion, moving the collection and ending its dedicated staffing. The Alaska Room will become a rental. The building simply is too big for us now. Our town has grown, but our aspirations have shrunk. A thousand years ago tribesmen in Europe lived among the ruins of the Roman Empire, believing those buildings had been created by giants, because they couldn't imagine human beings making anything so great. History and anthropology tell us who we are, where we came from, and why the world we live in is the way it is. But history is not essential to survive. According to the psychological concept of Maslow's hierarchy of needs, we need physical sustenance and safety before we can develop belonging, esteem and self-actualization. These days, Anchorage is focused on safety. As we struggle with homelessness and a crime wave, our scant resources have to go there. And there is no prospect for more money. Alaska is living on an investment account, the Alaska Permanent Fund. When needs grow, Alaska has to pull back, like any pensioner on a fixed income. Besides all that, Alaska is changing. We're nearing the end of a generation that cared about history. The library was beautifully remodeled last year. On the ground floor, a conference Wednesday discussed creating new Alaska industries. Well-dressed people attended, many of them younger, while the gray-haired scholars mourned the loss of history on the fourth floor. The National Archives closed its Anchorage branch in 2014. The Anchorage Museum dropped history from its name and now focuses on art, anthropology and science. The gallery formerly dedicated to history now has another message. 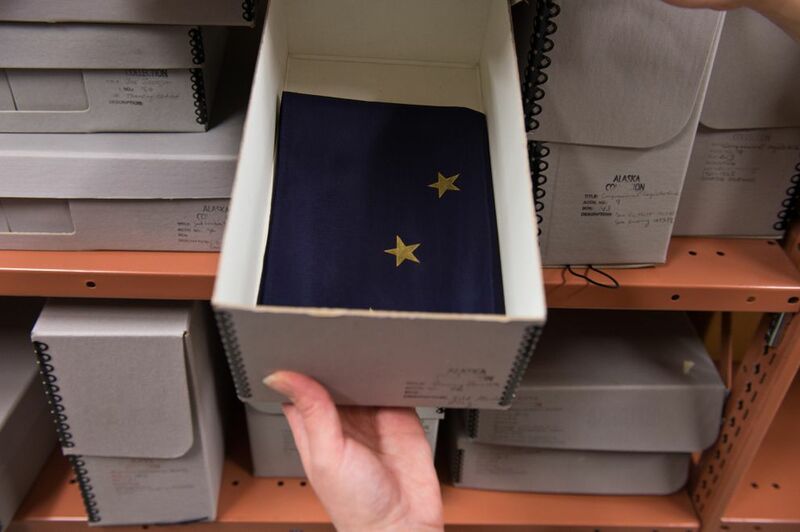 The Anchorage Museum and University of Alaska Anchorage both have archives, but neither facility wraps a researcher in a complete range of Alaska materials, as did the Alaska Room. It was a special place. I'm sorry the writers of the future won't be able to experience it.